The White Rocket celebrated their first birthday recently and the well-loved bar was packed to the brim on the night of their anniversary. The joyous occasion was marked with beers and sliders going at just one dollar. Truffle Fries ($11) have become a must-order item at every establishment that has it on the menu. 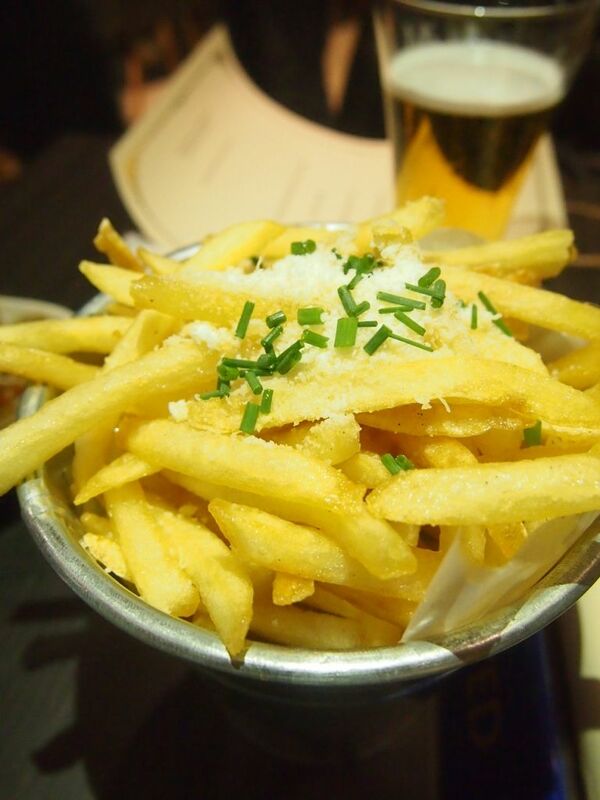 While it was a decent portion for its price, the fries were not well-tossed and evenly coated in truffle oil. 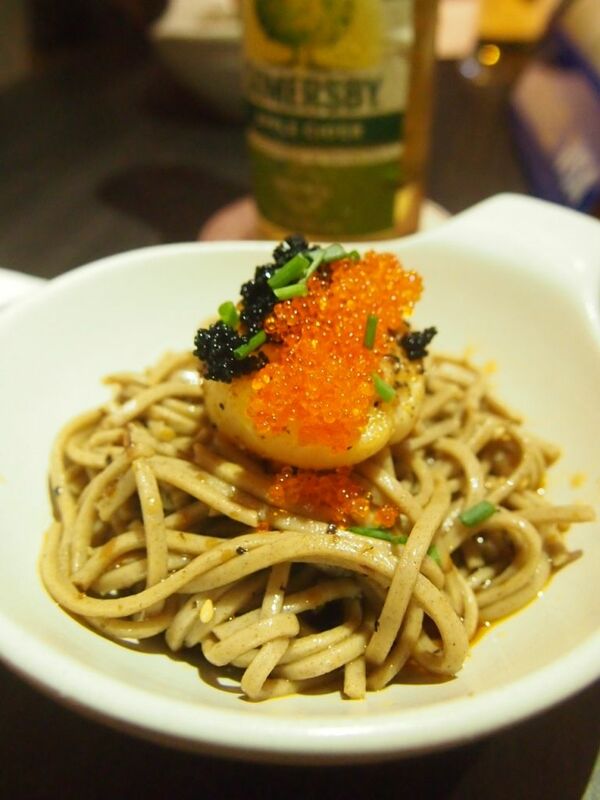 A distinct sour note hangs in every bite of the Soba Scallop ($10/$22). It was refreshing and appetite-whetting. The tanginess is strangely addictive. 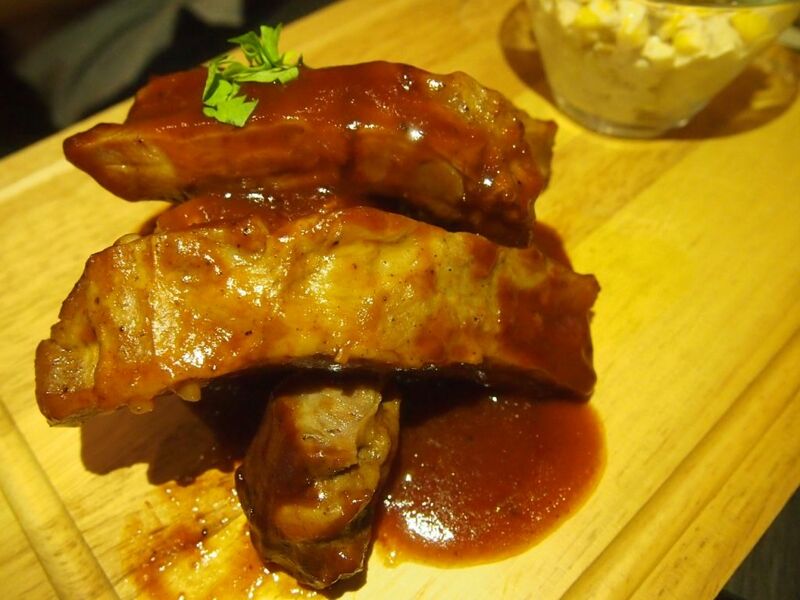 I find it exceptionally difficult to get good ribs in Singapore, and I definitely wasn't expecting the St Louis Pork Ribs ($26) here to wow me or even come anywhere close to doing that. So you can imagine my surprise when I was presented with juicy, fork-tender ribs slathered in a nice barbecue sauce. The accompanying crabmeat and corn slaw could use some work though. 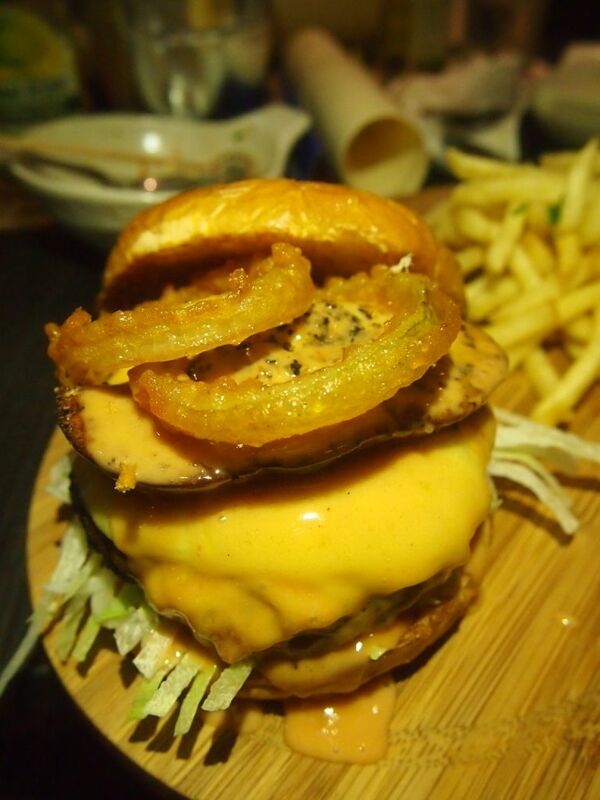 The signature Foie Gras Burger ($28) is quite a stunner for its price. 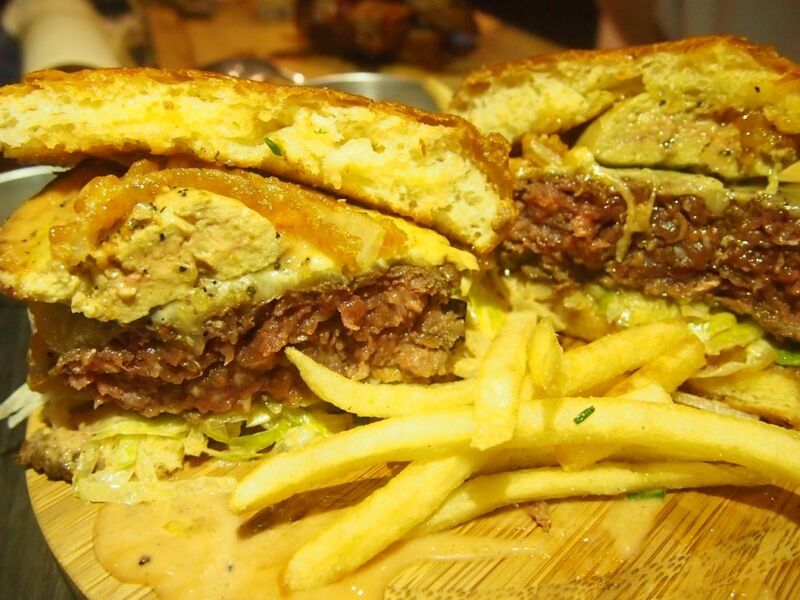 The portion is pretty huge and you can expect a bigger-than-average medium-rare beef patty and a giant slab of foie gras. While most found the burger to be very gratifying, I felt that the foie gras was slightly overdone and the patty to be lacking of "beefiness". Nonetheless, for its price tag, I think it's quite a bang for the buck. A cafe in the day, and a bar at night, The White Rocket is a popular haunt, especially for the executives working in the area. I love that the place was blasting familiar tunes that I grew up with!